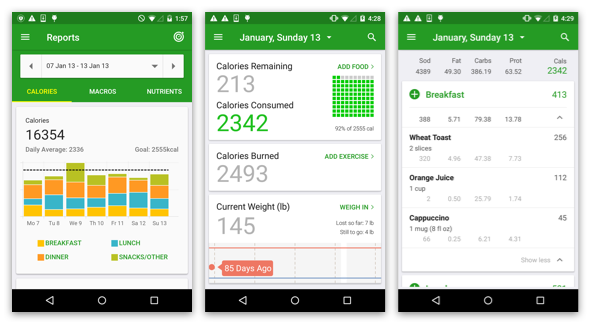 Calorie Counter is the essential app to simply find nutritional info for the food you eat and easily keep track of your meals, exercise and weight. Start losing weight the healthy way with easy to use apps, online tools and support. The world's highest quality food and nutrition database. A food diary to plan and keep track of what you're eating. An exercise diary to record all the calories you burn. A barcode scanner and manual barcode input. A quick pick to find calorie and nutrition info for your favorite foods, brands and restaurants. A diet calendar to see your calories consumed and burned. A journal to record your progress.